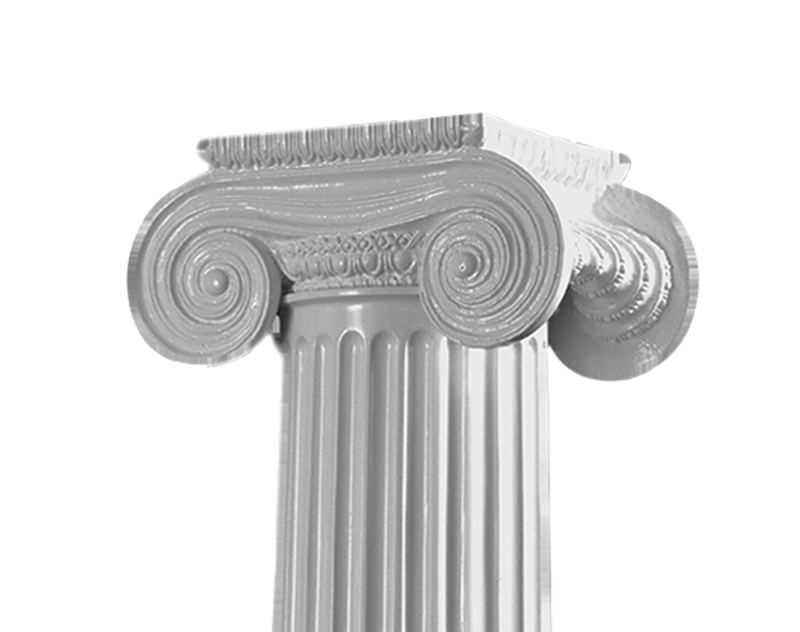 The Endura-Series™ Round Tapered Column is the column of choice among builders and home owners alike. 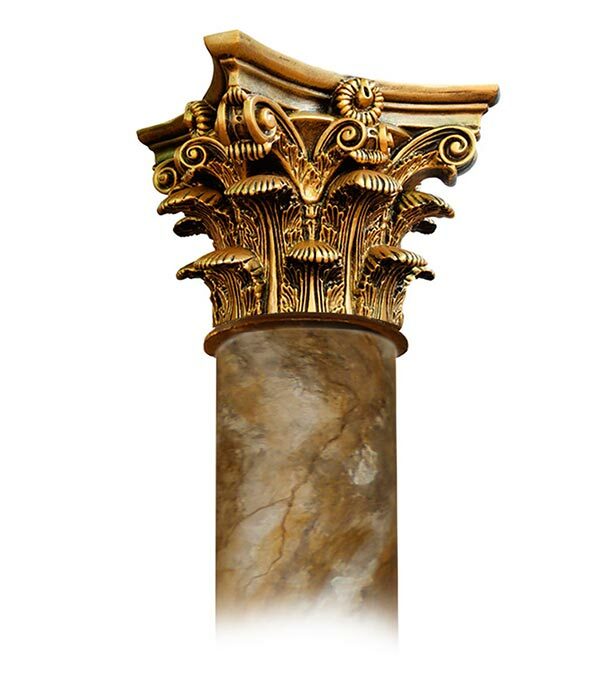 This versatile column combines elegance and boldness to truly define exterior spaces. 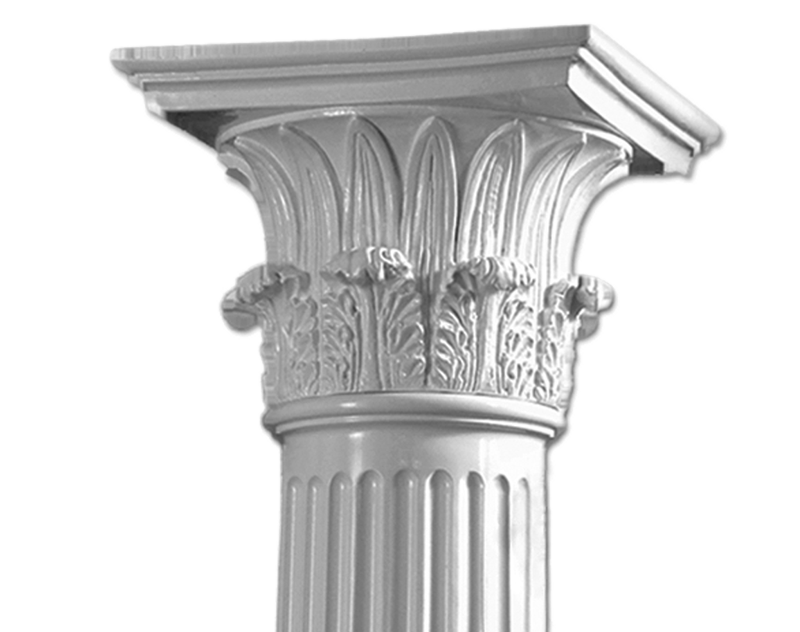 This Column also features a durable Endura-Stone™ construction that stands up to weathering and insects. 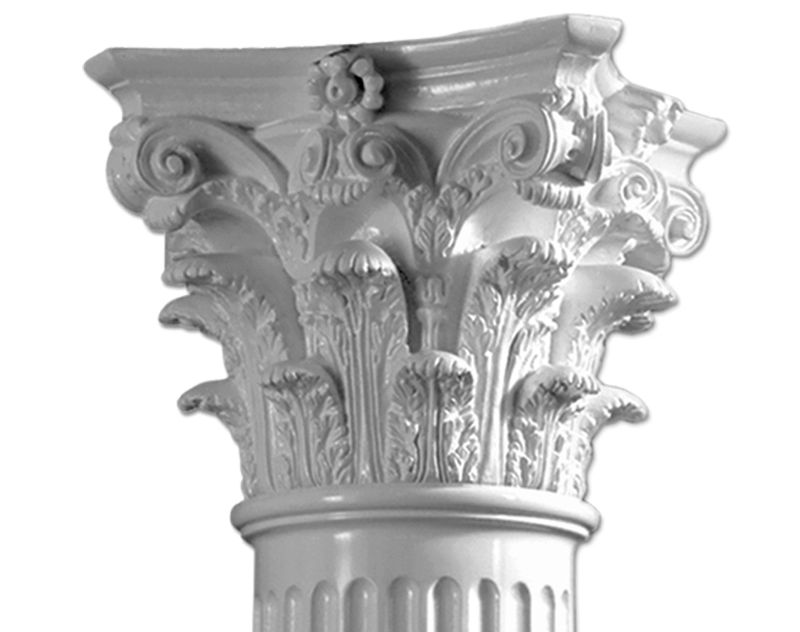 The content of this column specifications data is in accordance with the provider of these products: Pacific Columns, Inc. We only perform the hand painted finish and resale them. 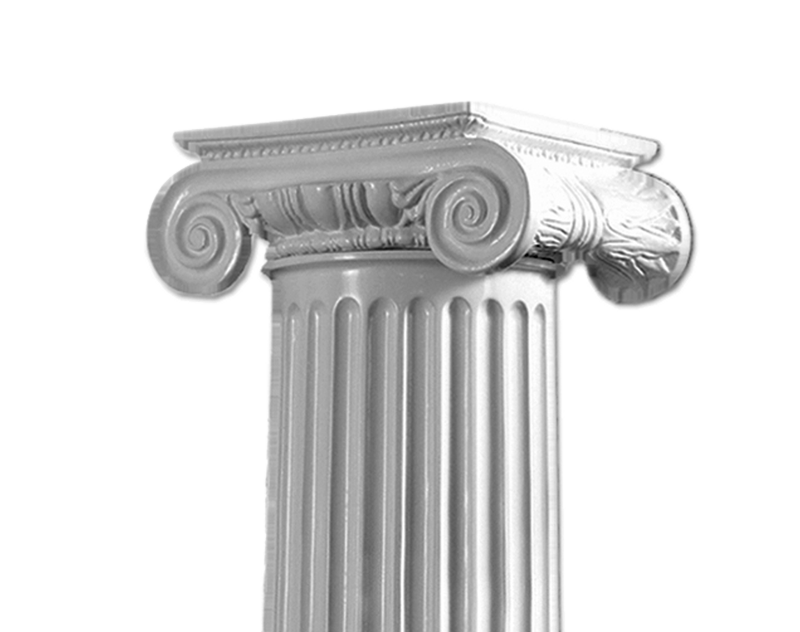 For more information or any technical question, please feel free to contact them directly at: 1-800-294-1098. 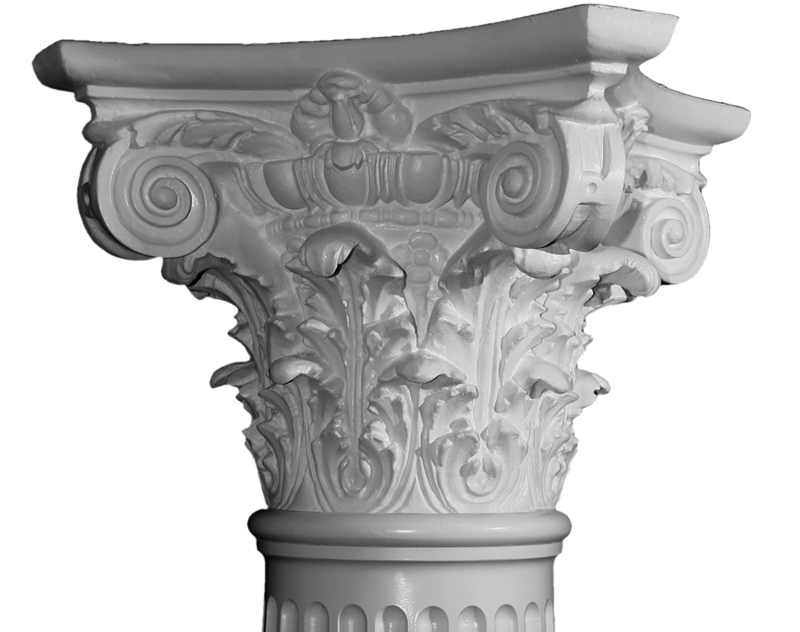 Tuscan Columns are available in fluted or unfluted versions. 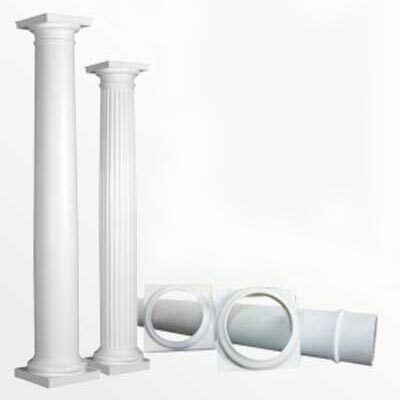 They may be ordered in Vignola’s architectural proportions or in custom combinations of column lengths and widths as well as in non-tapered cylinders. 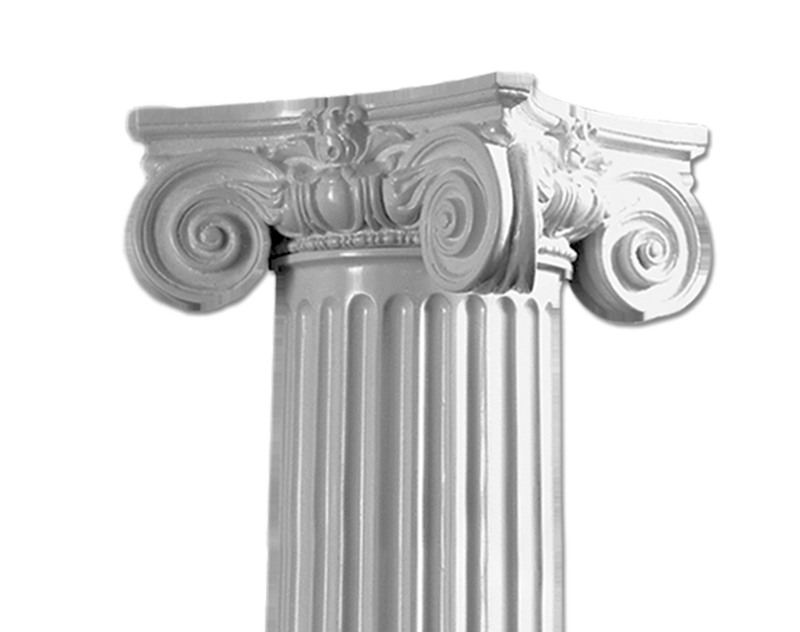 Square architectural columns and pilasters to match detail of round tapered columns are available. 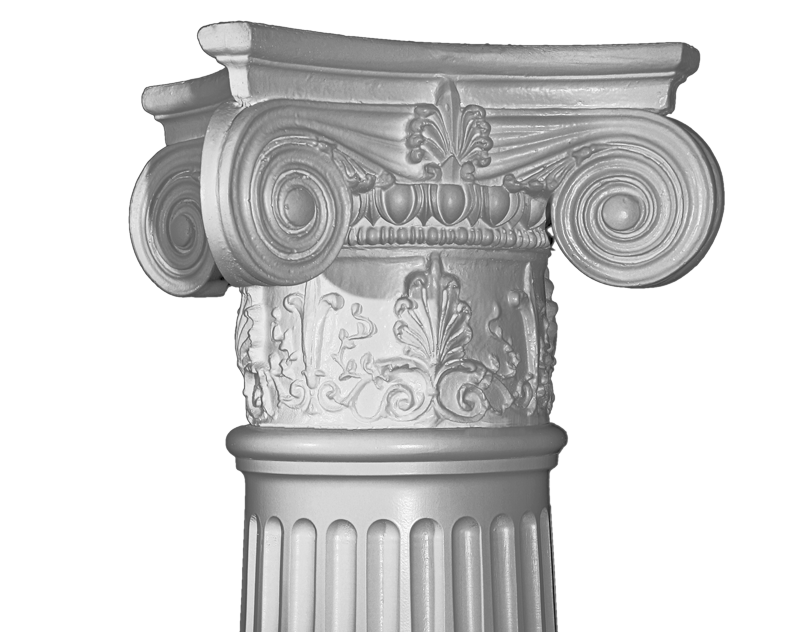 Endura-Stone Columns are as unique as the different types of installations that are available. 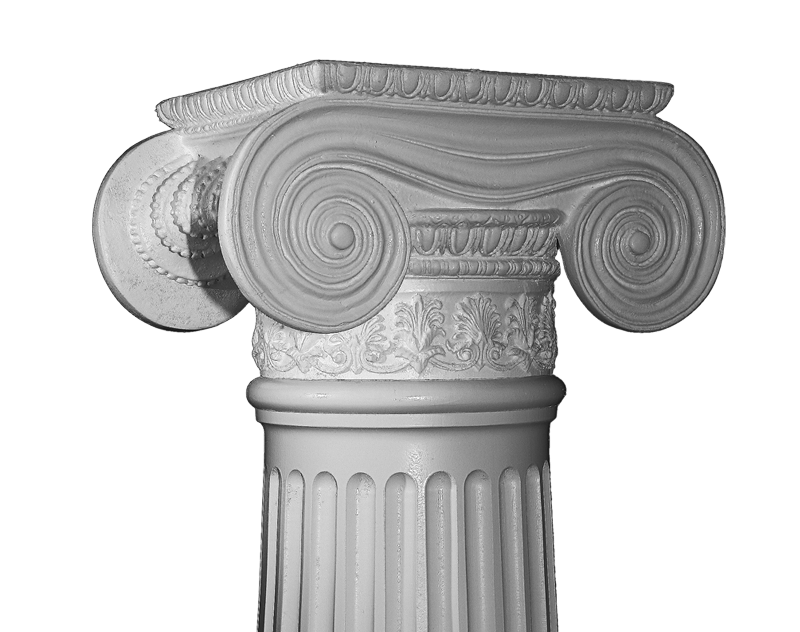 We offer our Endura-Stone™ Columns in a wide variety of “Plan Types”. These “Plan Types” are the style and type of shaft, capital, and base you will receive. 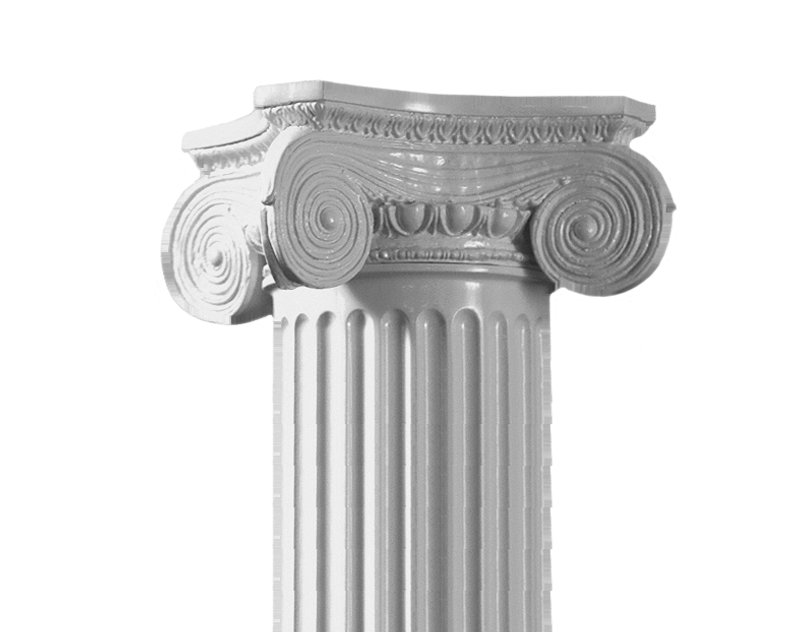 If you are using them as half columns against a wall, you would want to select a “D” plan type for round or “F” plan type for square. 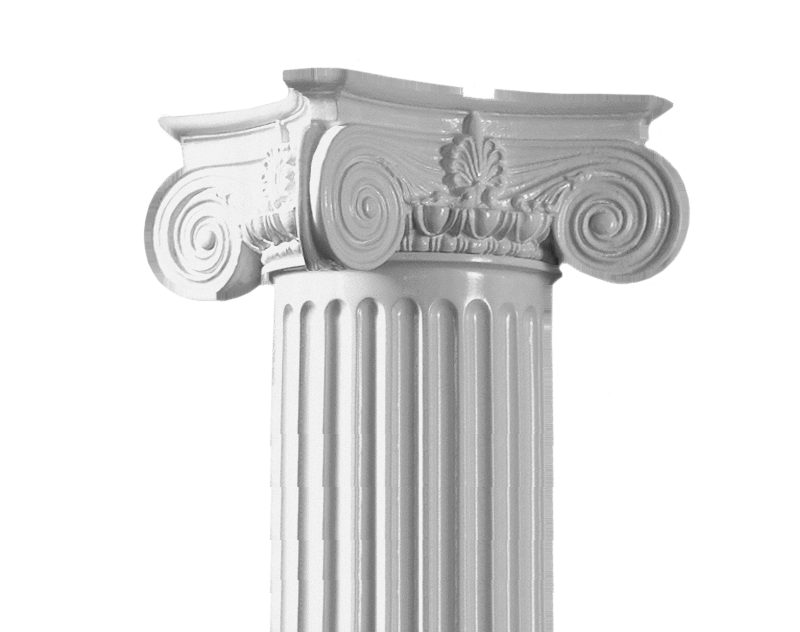 This would give you a column that could be installed against a wall. 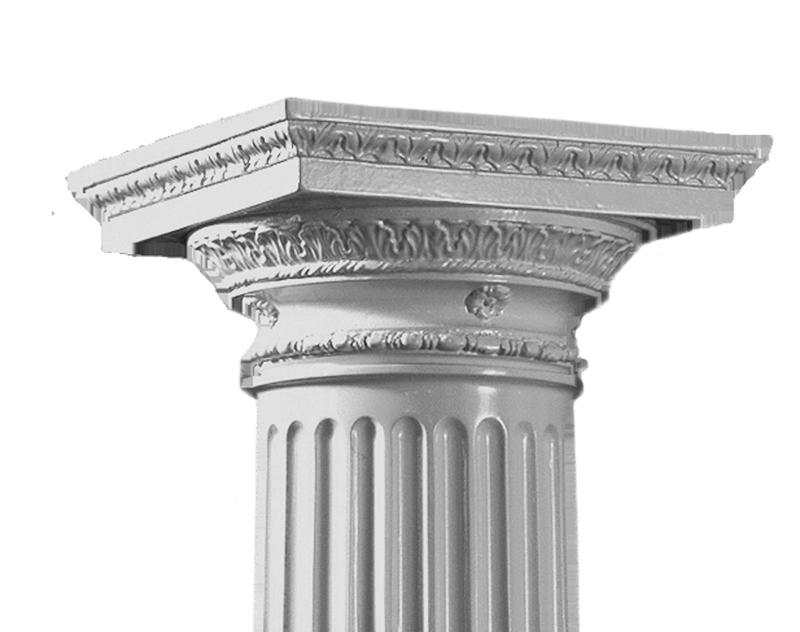 These are the most common plan types, however, we can do custom plan types if your project requires it. 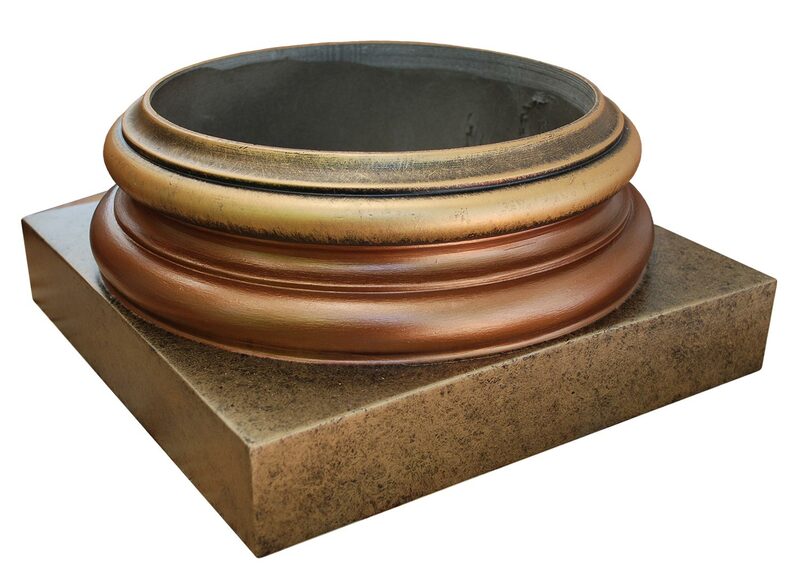 We are currently incrementing our number of column bases finishes for customers to have more options to choose from. 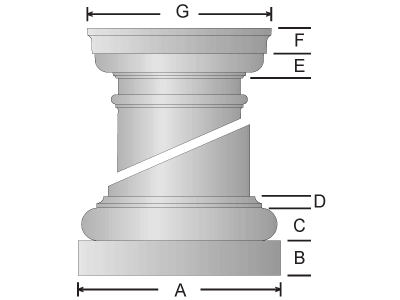 6" 6-7/8" 9" 8-3/4" +3-1/4"
8" 7-3/4" 10" 9" +3-1/2"
10" 10" 13-1/2" 12-1/4" +4-7/8"
12" 11" 18" 17" +6-1/4"
14" 14-1/2" 20-1/2" 19-1/2" +7-1/2"
16" 17" 23" 19-1/2" +9-7/8"
18" 15" 32" 26-1/4" +6-3/4"
20" 17-1/4" 34" 28" +8-1/2"
24" 19" 35-1/2" 35" +6-3/4"
6" 5-3/4" 7-3/4" 11-3/4" +2-1/8"
8" 7-1/2" 10-1/2" 15" +3-1/4"
10" 8-1/2" 12" 17-1/4" +3-3/8"
12" 9-1/2" 14-1/2" 21" +4-3/4"
14" 11-1/4" 15" 21" +4-1/4"
16" 13-1/2" 17-1/2" 26" +6-3/8"
18" 15" 22-1/2" 29" +6-3/4"
20" 17" 26" 36" +8-1/4"
24" 19" 30-1/2" 43" +6-3/4"